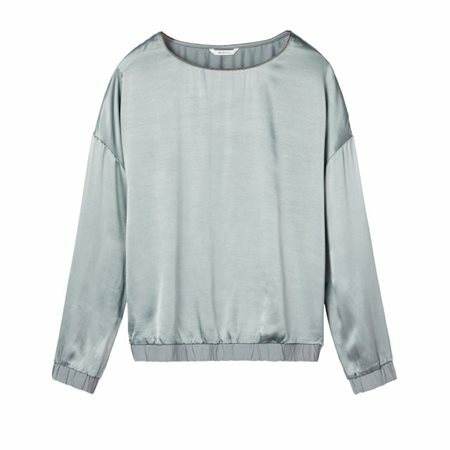 This satin top is the ideal item for creating interesting outfits. The top has a subtle sheen, dropped shoulders and an elastic hem and cuffs. The piping along the neckline has a slight sparkle. Wear it with dark-grey trousers and a scarf draped nonchalantly around your neck.